Small but mighty, the Mini Nursery Jaws® is the perfect addition to your walk-behind loader. With an 800 pound capacity, the Mini Nursery Jaws® can handle your toughest jobs with ease. 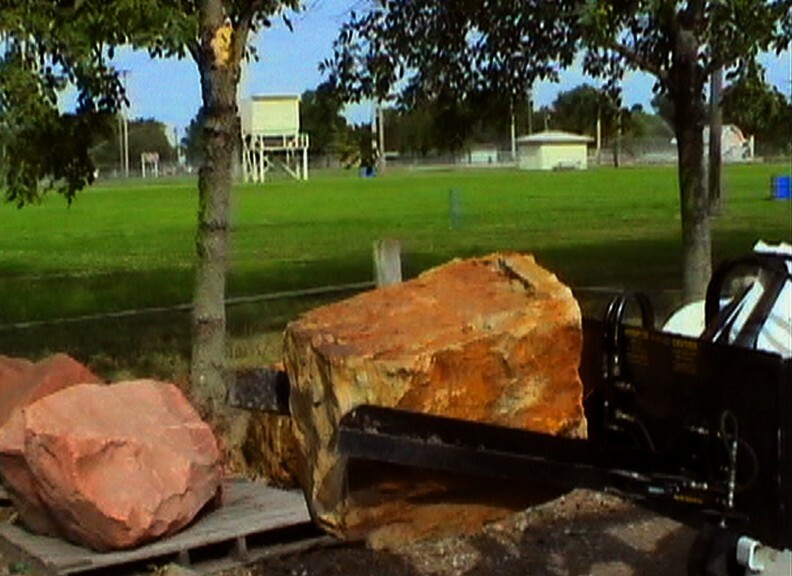 Like all the larger Nursery Jaws®, the Mini Nursery Jaws® can move B&B, containers, boxes and rocks and boulders. 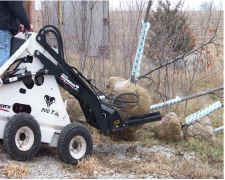 Coupled with a walk behind loader, the Mini Nursery Jaws® allows you to transport your landscaping material in tight places, through gates and down narrow aisles. The Mini Nursery Jaws® will make your mini loader mighty! Approximate machine dimensions are 27' wide by 36" length and can be shipped via UPS or Common Freight. Finally, a machine perfect for the smaller walk behind loaders like dingo, Ramrod, Kanga, Bobcat, Gehl, Gravley and Mini Max. "After seeing the Mini Nursery Jaws® in action at a local wholesale nursery, I decided to get them for my Toro Dingo 322. They work the same on my compact utility loader as they do on a full size skid loader. The Mini Nursery Jaws® allow mw to handle with ease, many of the B&B trees that come in and out of our nursery. They have the power to lift and hold anything the Dingo can handle. If you are currently moving and loading B&B material with forks, I highly recommend them." © 2005-2017 <DPM, Inc> All Rights Reserved.